All-natural candles, seasonal "Pi Scream," customizable gift tags, and more to help you in a holiday pinch. In just five years, Keith Bailey and Mark Fuentes have opened three White Rock Soap Galleries: their manufacturing and retail space in Lake Highlands, a gallery in Bishop Arts, and a brand-new boutique and classroom in McKinney this October. The shelves of the shops are stocked with goods from 40 Texas makers plus their own handmade vegan soaps, candles, and body products. 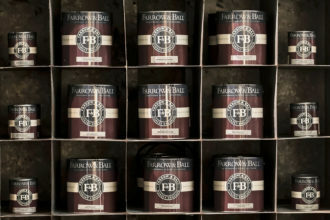 But despite the all-natural variety of shampoos, bath bombs, pet products, and more, their most popular candle has always been holiday-centric: “We sell more Joy candles in one month than anything else all year long,” Bailey says, referring to one of several holiday-themed scents they produce. 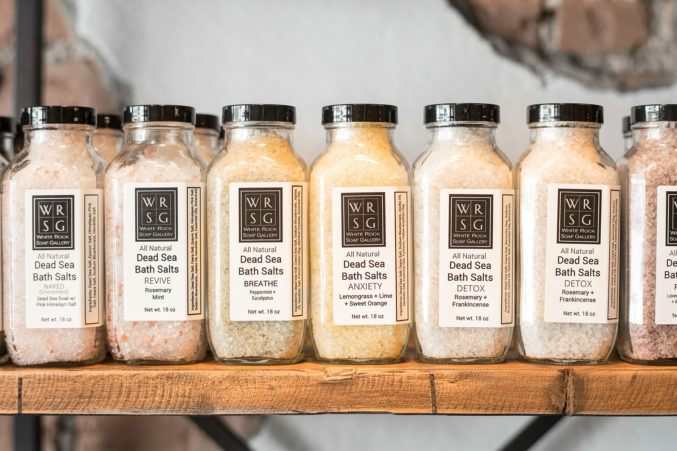 There are a few festive accents—maybe a gold container or two—that White Rock Soap will roll out especially for the season, but for the most part, the holiday spirit stays consistent at the shops. 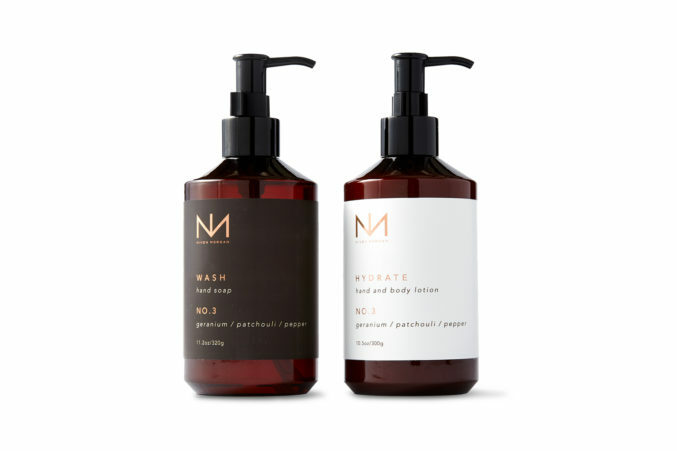 “We keep most of our holiday scents year-round because people really demand that they’re available all the time,” Bailey says. Stop by any of the three locations for a Frankincense and Myrrh, Orange Cinnamon Clove, or signature Joy candle to make your home or guest room merry. 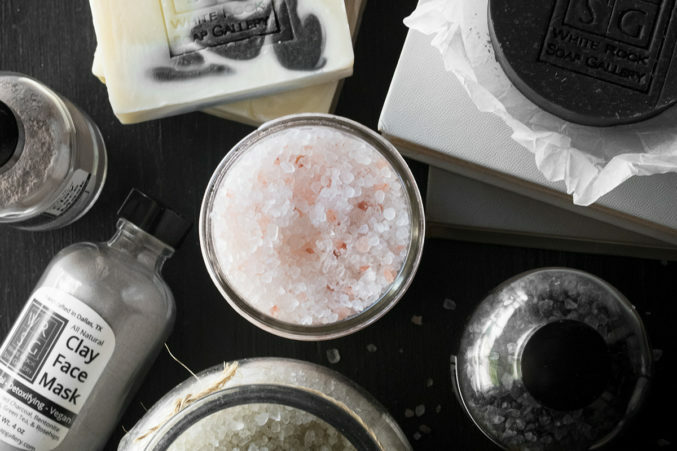 Or book a class in their new McKinney store to make your own festive scents. Artifkt—a designer haunt for antiques, one-of-a-kind pillows, books, art, and all things French—has forwarded its inventory back to Dallas, where for three years it took up residence on Henderson Avenue before relocating to an 800-square-foot space in Colleyville. 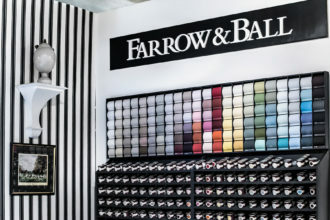 Now nestled within the sprawling Design District antique market and Francophilian dream The Mews, Artifkt is once again Dallas’ exclusive retailer of Farrow & Ball paint. Whoa, Bessie: The ice cream truck is back—with a twist: look for emporium’s chevy “Bessie” out on the road. 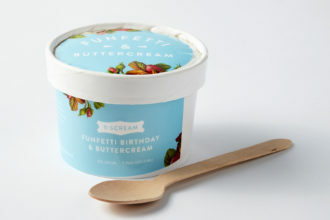 Ice cream may not be high on your holiday dessert list—but it should be, especially now that we’ve been gifted Emporium Pies’ “Pi Scream.” The latest offering from Megan Wilkes and Mary Sparks, the women behind the 6-year-old bake shop, features small pieces of the company’s signature pies mixed into handmade ice cream. Grab a pint of the custard-based good stuff from “Bessie,” Emporium’s 1962 Chevy C10 mobile pie-and-ice-cream truck—or book Bessie to appear at your special event. 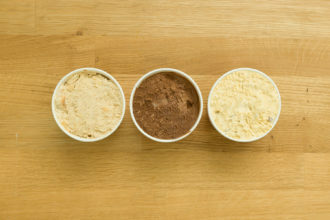 We’d suggest a festive flavor, but the menu for ice cream—made in small batches to keep things adventurous—is quick to change. After eight years as the invitation designer for The Mathes Collection, Lauren Phillips has branched out with a stationery company of her own, Bungalow Paper and Design. 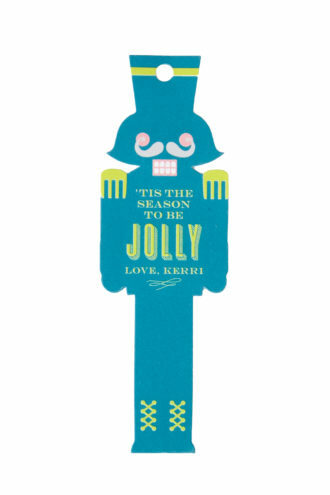 Phillips’ creations are mostly custom, but her first retail collaboration is holiday-ready gift tags. Stop by Ellis Hill’s West Lovers Lane shop to pick up Bungalow Paper’s customizable tags and ensure your gifts are best dressed. The tops, tunics, and skirts Cristina Lynch sells through her company Mi Golondrina are refined, effortless, and always colorful. It’s a style that translates beautifully to the home accessories world, as the Dallas designer just introduced her first line of table runners, dinner napkins, cocktail napkins, and hand towels. 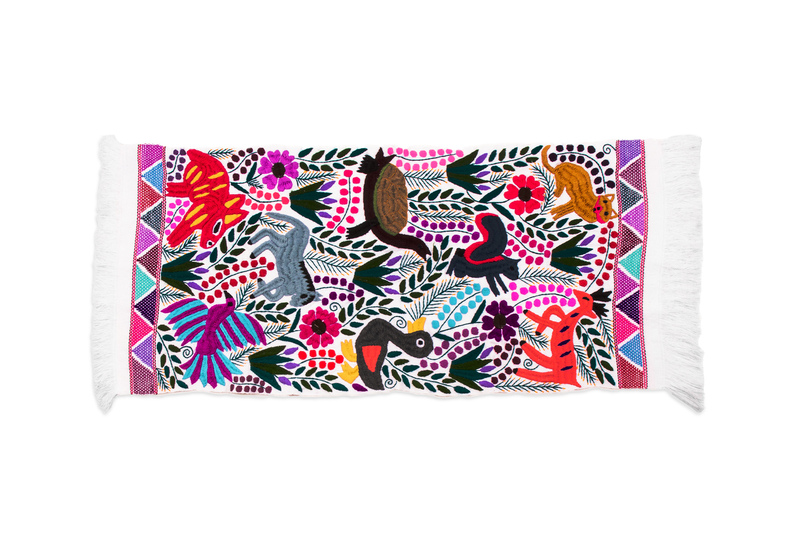 The runners are crafted by artisans in Zinacantán, Chiapas, who specialize in back-strap weaving, an ancient technique involving a handmade loom. If you’ve yet to venture to Plano to visit Holiday Warehouse, a 33,000-square-foot wonderland of seasonal decor, the store is finally bringing the festivities to Dallas. The first-ever Holiday Warehouse pop-up, 12 Twenty-Five, has arrived on the first floor of the Galleria—next to Sephora—and is stocked with 400 exclusive, high-end holiday products. “We’re trying to do something unique. We love the more eclectic look,” says principal buyer Addison Green. “At the Galleria shop, we’re going to bring in products that are edgier and a little more current—vintage, but not kitschy, like my grandmother’s stuff from Neiman’s in the ’60s.” The merchandise will be arranged in 10 different vignettes, each with its own theme. 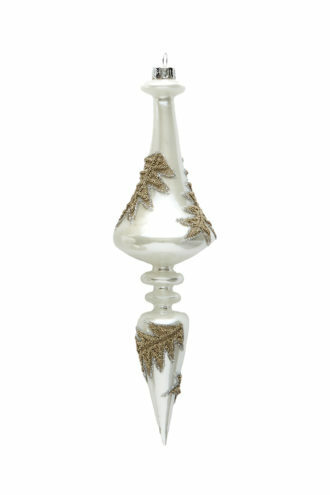 Hostess gifts, ornaments, and decorations are included in the eclectic mix as well as custom Santas sporting repurposed 17th-century tapestries. Stop by the 3,700-square-foot space by the Galleria’s towering Christmas tree through January 8.